Among the world’s most unique flowers is the elegant calla lily. It is unique because its flowers do not consist of most flowers’ identical series of petals. Instead, the flowers are made of a spathe and spadix. Often mistakenly recognized as the flower’s petal, calla lily’s spathe is identified as a large, flaring trumpet-shaped bract. In the center of the spathe is the spadix, which is the actual flower of a calla lily. Calla lily flower has been used on many occasions for centuries. This can’t be separated from various calla lily meanings and representations that make the blooms have some of the best philosophical values. Calla lily is originally from South Africa and Malawi. As one of the most popularly used flowers in Europe, there have been no clear traces of how calla lily entered the continent. However, a depiction of calla lily in an illustration of the Royal Garden of Paris, suggests that this flower has been in Europe since/ before the 17th century. The plant’s name definitely suggests its root as one of lily’s species. Yet, this plant is actually not one of the lilies family. An error made by a Swedish botanist in the 18th century by naming this plant calla lily is the reason for it. Calla lily plants actually belong to Araceae family. Realizing the mistake was a German botanist who later created genus Zantedeschia for this plant. 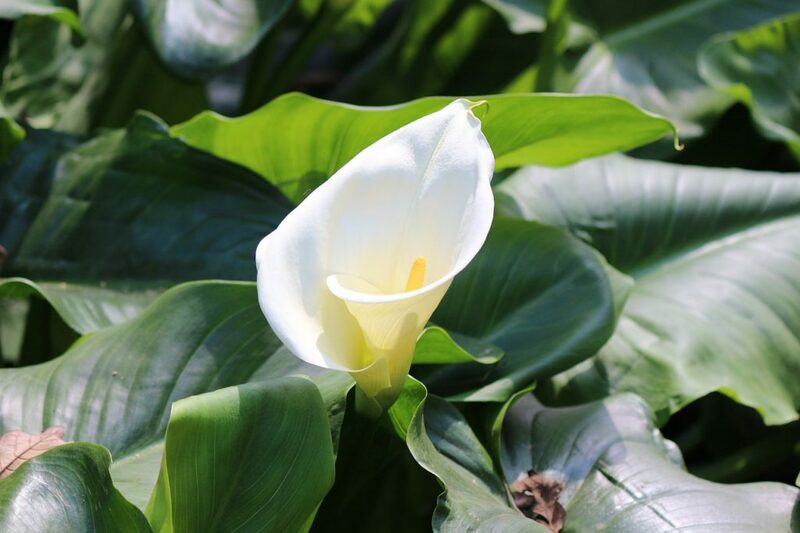 The correction didn’t really change anything as the plants have been highly referred to as calla lily and have grown into their current popularity. Calla lily started to be recognized in the US by the 20th century. It’s been growing a cultural significance among Americans ever since. Many portrayals of these beauties were found in art pieces. Among all of those is Georgia O’Keefle’s close up painting of calla lily. Calla lily has an interesting origin according to Greek Mythology. 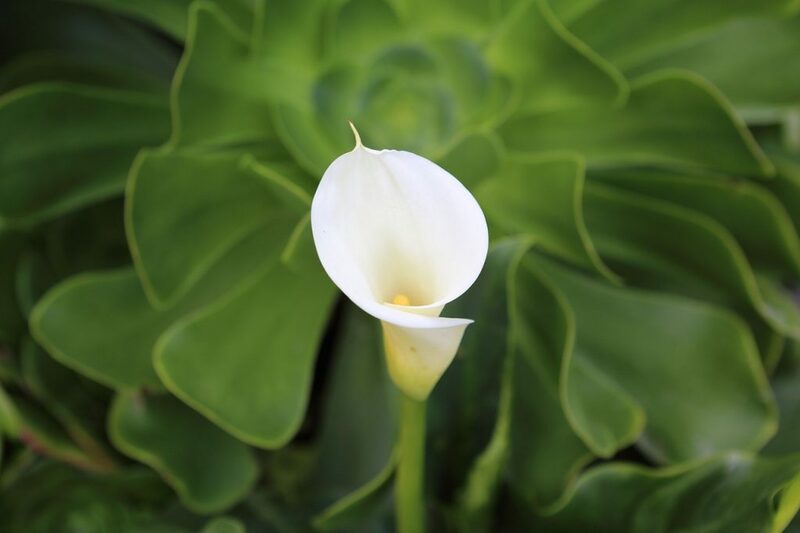 The flower’s name is in fact derived from the Greek word that literally means beautiful – calla. The origin story of this flower is often associated with the Greek goddess, Hera. According to the legend, Hera, Zeus’ wife, was blindsided. She didn’t know that Zeus had a son with a mortal woman. The baby boy, the one we all know as Hercules, was brought by Zeus to be breastfed by Hera when she was asleep. Awaken from her sleep, Hera didn’t seem to be happy and pushed Hercules away. Accidentally, drops of milk made a way to the sky, creating a milky way. Some of them fell to the ground and turned into beautiful flowers, the calla lilies. The calla lilies’ beauty made Venus, the goddess of love, beauty and desire to develop jealousy. She expletively cursed the flowers by thrusting a large yellow pistil in the middle of calla lily flower. Related to the origin story of calla lily according to the Greek Myth, especially the part when Venus was placing the unsightly pistil, many have associated this flower with lust and sexuality. 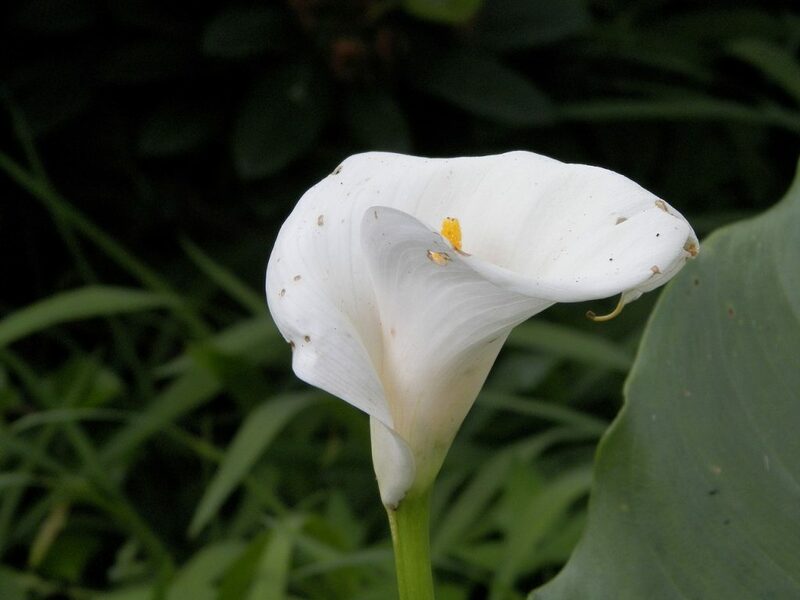 However, one of the most popular calla lily symbolisms is actually its unmistakable pairing with Virgin Mary. This common spiritual meaning of calla lilies symbolizes purity, holiness and faithfulness. This calla lily symbolism is especially an extension of expectation of fertility – in hopes of having offsprings. Another spiritual meaning of calla lilies is related to Jesus. The calla lily represents rebirth and resurrection as its trumpets-like shapes symbolize the triumph of the awaited returning of Jesus. Calla lily meanings differ according to the blooms’ color. Each of calla lily color carries different meaning and are used in many different occasions and events. The white calla lilies carry a meaning of purity and innocence. The yellow calla lilies signify gratitude. The sweet pink calla lilies illustrate appreciation and romance. While the purple callas represent royalty, the black callas suggest elegance and mystery. And, the red calla lilies are the symbol of beauty and courage. Many of callas’ uses are rooted from calla lily meanings and symbolism. Take for instance, the flowers’ symbolism of rebirth and resurrection that underlie callas’ use in Easter services. 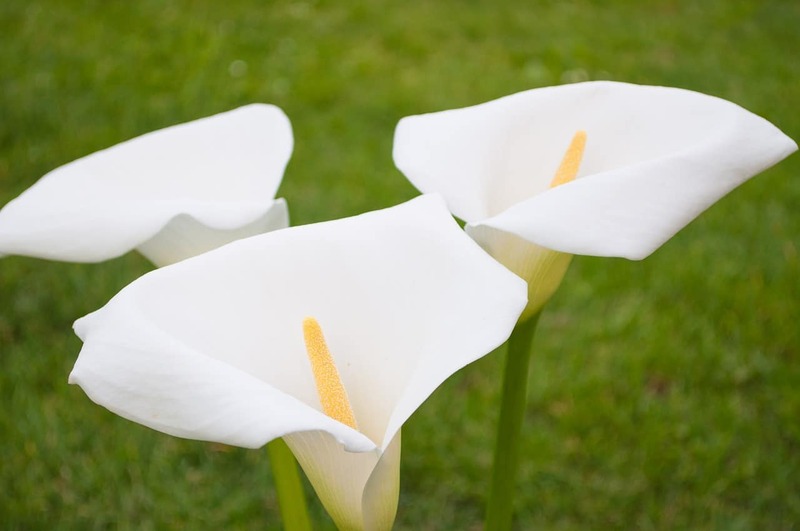 White calla lilies for funeral arrangements signify the idea of purification and departed soul. Additionally, a broken calla lily laying at a tombstone indicates someone who died at a young age. Related to the flowers’ symbolism of hopes, calla lilies are often used for wedding bouquets or any wedding arrangements. Calla lilies used in marriage or wedding associate events represent wishes of receiving marital bliss and devotion. Not only do the calla lilies have valuable meaning and symbolism, these beauties also have some interesting facts to know. Related to its bodily structures, their original habitat and anything else, here are some facts worth mentioning too. Calla lilies aren’t actually part of Lilies family. The perennial bulbs grow from tubers; a series of bulbous roots with finger-like growth. Blooming in late springs, calla lilies’ spathes are often mistakenly recognized as their flowers. In fact, these spathes are actually modified leaves. The narrow spadix in the center of the spathe is the real flower of calla lilies. Hence, there are numerous flowers in one stem of calla. The beauty of calla flowers has decapitated many notable artists. Diego Rivera depicted calla lilies in a painting that becomes synonymous with Mexican culture. Calla lilies also made a center appearance in Henri Matisse’s painting the ‘Calla Lillies, Irises and Mimosas’. Another painting, possibly the most well-known one, is Georgia O’keefe’s portrayal of Calla lily as that resembles the female anatomy. Despite the flowers’ elegance and beautiful appearance, the calla lily is poisonous to humans and animals. If you find symptoms like mild diarrhea, stomach pain, burning sensation, and throat, tongue and lips are swelling after having direct contact with them, you may consider calling your doctor. Even though these flowers are highly poisonous, some Asian countries have developed a taste for them. 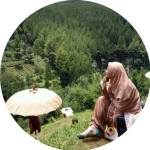 The bulbs are often be cultivated and reaped for a specific menu before previously remove the poisonous inner flowers.